The GetFurnished.com online store offers you all kinds of furniture to equip your studio. Need a studio coffee table? A wardrobe? Whatever you are looking for, you will find on our website furniture adapted to your studio. Furnish your studio with our rental offers for periods ranging from 1 to 36 months. The studio furniture rental service set up by the GetFurnished.com online store allows you to quickly take possession of the ideal studio table or cabinet for your home. You will find a wide choice of studio furniture in our shop. This allows you to optimize your small surface area in the way that suits you best. When you move into a studio for a limited time, it makes sense not to spend a lot of money to equip it. Renting the furniture in your studio is the ideal option. You will enjoy a comfortable home, without having to invest large sums of money. Choose a bed, TV cabinet or desk that is practical and adapted to the space available in a studio. Discover packs composed with the best products such as the Jakarta studio pack. This will make your accommodation a cosy and comfortable place for your entire stay. - The Price: To furnish your studio with items adapted to your interior, it is not necessary to plan large budgets. Studio furniture rental with GetFurnished.com online store is accessible to everyone with our tiny monthly payments! So make your furniture choices with complete peace of mind. 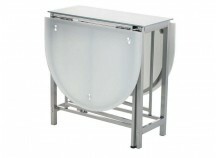 - Quality: The studio furniture on the shop has in common their excellent quality. You can therefore enjoy it throughout the duration of your contract, and thus keep the serine spirit. 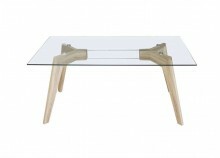 - Simplicity: The GetFurnished.com online store makes it easy for you to rent studio furniture. Make your choices and contact our services to receive your furniture in complete peace of mind, without having to leave your home!